THURSDAY, April 5, 2018 (HealthDay News) -- Walking or cycling to work doesn't take as long as you probably think, a new study finds. A major reason people favor a car for their daily commute is that they believe they don't have time to walk or cycle, Pennsylvania State University researchers noted. But their study of 252 students and 253 faculty and staff found most overestimated how long it would take them to walk or cycle to a common location in town. 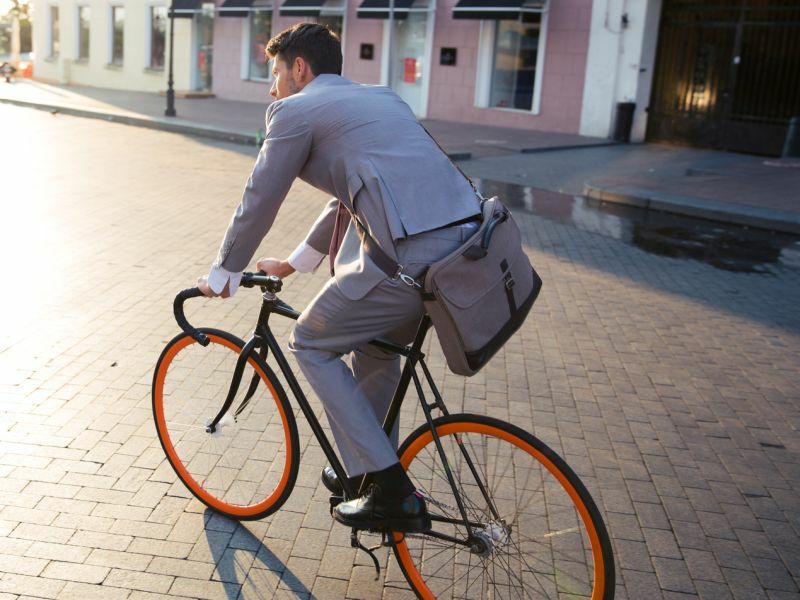 About 91 percent of workers incorrectly estimated walking time and 93 percent misjudged how long it would take to cycle. Among students, the rates were 55 percent and 43 percent, respectively. The findings provide new insight into why people are more likely to use their car rather than walk or ride a bicycle, said study author Melissa Bopp. She is an associate professor of kinesiology at Penn State. "People in general aren't very good at estimating how long it's going to take to get somewhere," she said in a university news release. "That's problematic when you're trying to get someone to walk or bike somewhere. Traveling by foot or bike has a lot of benefits, but not a lot of people do it. They may think they can't do it because it's too far and it'll take too long, when it turns out it's really not," Bopp said. The findings were published online recently in the journal Transportmetrica A: Transport Science.